17 March 2014: Massive updates! See below. Jan Jonston¹ was a 17th Century Scottish-Polish naturalist who appears to have been largely forgotten by English speakers. Jonston made some of his own naturalistic observations (Miller 2008) but relied heavily on the works of 16th Century authors Conrad Gessner and Ulisse Aldrovandi (MacGillivray 1834) as well as the near-contemporary Georg Marcgrave (Romero 2012). Jonston’s work has been interpreted as some of the last done in the Gessner–Aldrovandi style and something of an anachronism for its lack of focus on classification (Asúa & French 2005); Miller (2008) argued Jonston took a unique philosophical approach. The important thing is, Jonston’s work is preserved on a website run by the University of Mannheim and is well worth looking at for the engravings by Matthäus Merian. These are very nice renderings, but holy crap, Jonston needed an editor. This is the second illustration of a sawfish and why both are hanging out with marine mammals is mysterious; perhaps some earlier worker confused the spiracles for blowholes. 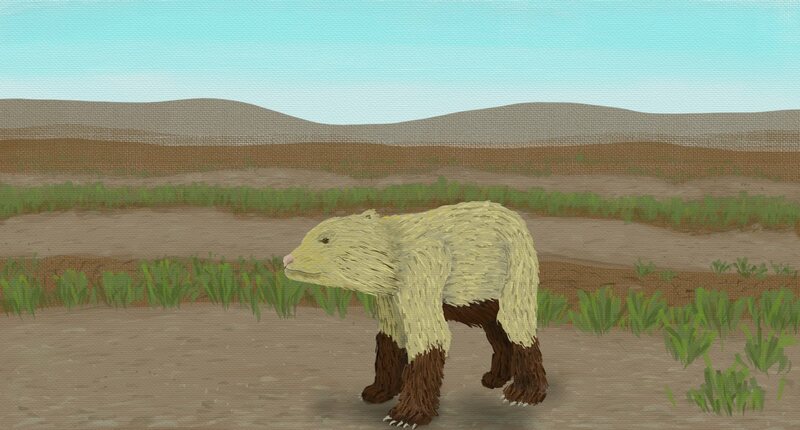 The competing depictions of walruses as separate species (?) is really mind-bending. The ‘Rosmarus Wallroſs‘ is from Gessner who in turn based his depiction on Olaus Magnus’s… but with wings; the ‘Rosmarus Vetus‘ are from a 1613 illustration by Hessel Gerard (through De Laët) and are reportedly the most accurate walruses until 1853² (Allen 1880). So on the same page, Jonston managed to be cutting edge and behind the curve. 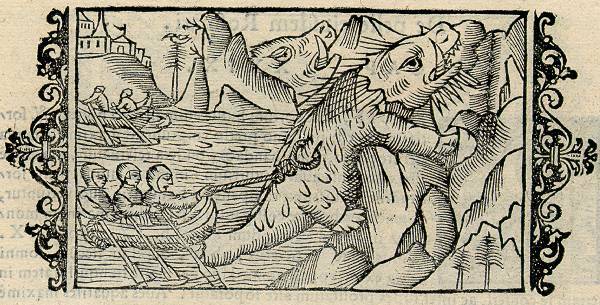 Then there’s the mythical ‘Scolopendra cetacea’, a Roman dolphin-faced, Aldrovandi-style whale with extra… footy things³. I think this is a good sample of Jonston’s work: a beautiful, incoherent mish-mash of monsters and real animals. 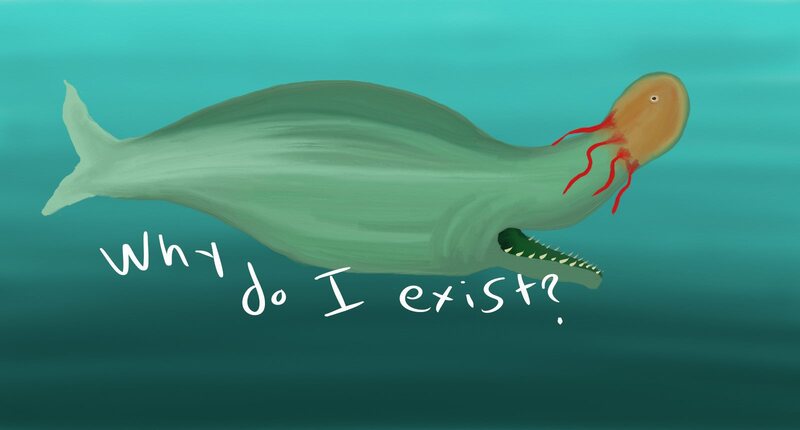 But enough stalling, what is… Jan Jonston’s Wonderfully-Shaped Whale? Cete admirabilis forme. Aside from this article, the phrase is only found on the University of Mannheim’s website. It doesn’t even seem to be in Jonston’s own text. Jonston doesn’t even use the word “cete” — “cetis” and “balaena” are used for his whales —so it may be a reference to size rather than affiliations. Or something. 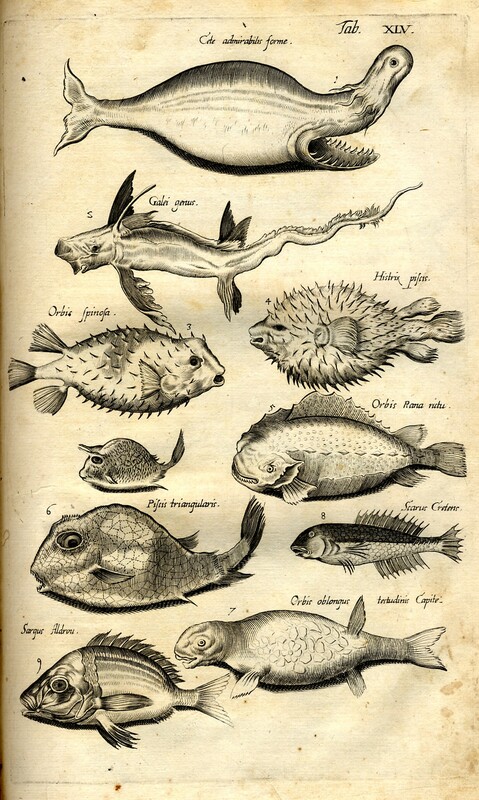 I have no idea why it’s grouped with relatively realistic fish, which can be recognized as a chimera, pufferfish, a lumpsucker, and a bream. Except for the lumpsucker (and Wonder-Whale), these fish have teeth specialized for crushing. 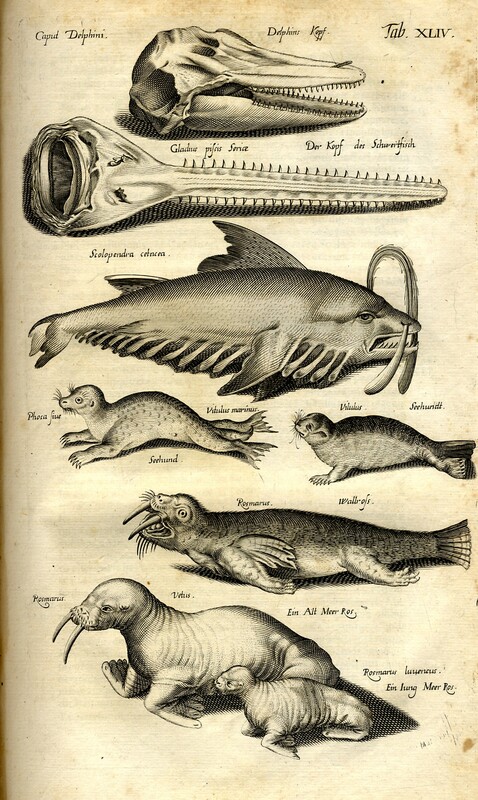 The Cete admirabilis forme is nowhere to be found in Rondelet’s L’histoire entière des poissons or Aldrovandi’s De piscibus or Marcgrave’s Historia Naturalis Brasiliae. It could be possible it’s from a more obscure source, represents original research from Jonston, or it’s a fictitious entry. I would opt for this being a joke because… just what the hell is going on here? The overall body shape is from a cartoon fish, the mouth is Sperm Whale-like, and the head is Basking Shark-like aside from the octopus stuck on it. It’s really hard imagining this having anything to do with reality. Unfortunately, I’ve hit a dead end and I… just don’t know. Normally I don’t publish these, but hey, it’s a new The Lord Geekington. Perhaps some day I’ll make a lucky discovery in an old tome and write a followup. Or perhaps somebody out there on the Internet already knows. I would really recommend checking out the University of Mannheim’s website; Jonston may have been an iffy researcher, but Merian’s illustrations are well worth looking at. Asúa, M & French, R. (2005) A New World of Animals. Partially Available. MacGillivray, W. (1834) Lives of eminent Zoologists from Aristoteles to Linnaeus. Available. Miller, G. (2008) Beasts of the New Jerusalem: John Jonston’s Natural History and the Launching of Millenarian Pedagogy in the Seventeenth Century. History of Science 46(152) 203–243. Available. Romero, A. (2012) When Whales Became Mammals: The Scientific Journey of Cetaceans From Fish to Mammals in the History of Science. InTech. DOI: 10.5772/50811. Available. ¹ Also known as John Jonston, John Johnstone, Joannes Jonstonus and Scoto-Polonus. 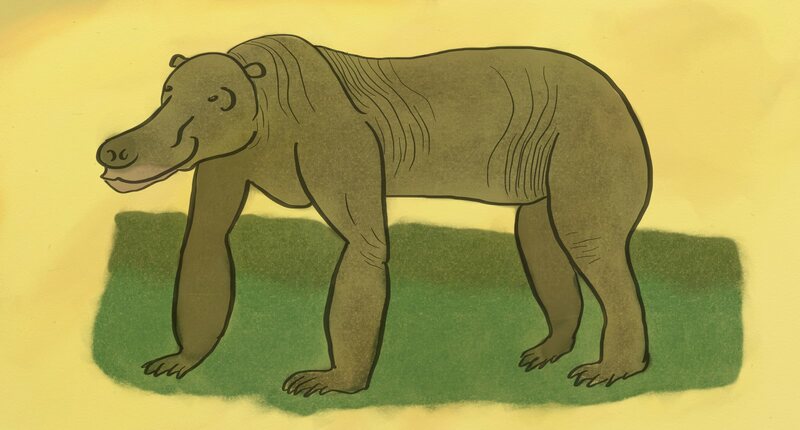 ² Walruses appear to have a particularly bizarre art history… I’ll have to cover this another time. ³ Perhaps my favorite monster and almost certainly a future subject. I’ve discussed the bizarre 20th Century revival of this beast on Memories of Myspace past or the Cetacean Centipede Rides Again! (from… 7 years ago?! ), Return of the Many-Finned!, and The Many-Finned and Cladistics. SVB finem Novembris ſuperioris, ab ornatiſſimo viro Iacobo Plateau diligente reruna Exoticarum conquiſitore, & quibus muſeum habet inſtruetiſſimum, Cetacei piſcis iconem, quam ex F. Ludovici Granatenſis Catechiſmo excepiſſe ſcribebat, accipiebam: eam licet ſatis negligenter, & ab imperito forſitan pietore, expreſſam, quia tamenmeo argumento ſerviebat, hoc loco inſertam volui, additâ etiam ex Latino Fratris Ludovici exemplari ejus deſcriptione. So in November 1604, one James Plateau received a naïve picture and description from one Father Lewis. LUDOVICUS igitur (ut paullò altiùs repetam ejus verba) in fuo Catechiſmo, ad finem cap. XXI. libri de Creatione mundi, hæc ſcribit. So I guess Father Lewis also wrote this down? …Curmeum nomen interrogas, quod admirabile eſt? In hanc ſententiam poſſem ego huc adducere duas feras, quarum magnitudinem deſcribit idem Creator cap. XL. & XLI. Iobi ſub his nominibus Behemoth & Leviathan: ſic & cete, quæ notiſſima ſunt. Some further notes about the location, the significance of which I don’t understand. The length was 40 cubits. Assuming 45 cm, this would mean 18 meters. However, Portuguese cubits were apparently 66 cm, which would give 26 meters… but who knows how that varied throughout time. So, uh, let’s call it cetacean-sized. The skin was black and the belly was white, so damn, my illustration was wrong. caudæ verò amplitudo ab extremitate unius pinnæ ad alteram quinque cubitorum erat, & ejus latitudo quindecim palmorum. It sounds like the body was so thick, two large men couldn’t span it, or wrap around it, or something. Each eye was a cubit (?!) in length. Huh. Apparently the head was held four cubits high, or something? The mouth was more ventrally placed than those of other fish. A comment about teeth and eight cubits I don’t understand. in ore præterea fexdecim habebat dentes, & cujuſlibet circuitus erat dimidii cubiti, interſtitium verò inter ſingulos erat unius palmi. I don’t understand a lot of this, but it seems the teeth were separated by a span (half-cubit). Cujus figuram hîc addere volui, quæ ab Henrico, qui ſempiterno fruitur ævo allata ſuit. An apparent reference to King Henry? In hujus piſcis fabrica, Divinæ Providentiæ artificium animadvertendum eſt, qui altum fert caput, ut piſes proſpiciat, quibus nutriendus erat: ſed cùm diſtantia inter caput & aquam magna eſſet, ei os in ventre accommodavit, ut vicinius & accommodatius ad piſcandum eſſet, quod oculisjam eſſet aſſequutus. Illud quoque audivi, hunc piſcem in ventre axungiam ad medendum ſatis accommodatam & magni pretii habuiſſe. Hactenus Frater Ludovicus. This appears to describe the mouth being in the “belly” and seems to imply that the blubber was valuable. So far as I can gather from my very, very, very limited abilities with Latin, this sounds like an early, mangled description of a Sperm Whale. The Aliud Cete admirabile which follows is far more unambiguous, and Allen appeared to regard it as one of the very first illustrations. There are still of course some baffling details about the Cete Admirabilis formæ (the head being held up high, the size of the eyes, the unexplained octopus-nose in the sketch), but it seems that even in the early 1600’s it was viewed as being a bit off-kilter.